The International Monetary Fund hailed Egypt’s progress on economic reforms on Tuesday in its second major review of the country’s loan programme, revising up its growth outlook but warning against the risks of not pushing forward with austerity. Egypt’s economy has been struggling since a 2011 uprising drove tourists and foreign investors away, but economic reforms tied to a $12-billion three-year IMF programme agreed in late 2016 have led to positive indicators after years of turmoil. The IMF raised its forecast for Egypt’s GDP growth for the 2017/18 fiscal year ending in June to 4.8 percent from 4.5 percent in a report last year, citing a recovery in consumption and private investment. “Egypt’s economic outlook is favourable, provided prudent macroeconomic policies are maintained and the scope of growth-enhancing reforms is broadened,” the report said. Foreign investment in Egypt’s equity markets has reached record highs since the country embarked on the reforms, and foreign direct investment has begun picking up. In its report, the IMF said the private sector, which has been hampered over the past year by interest rate hikes intended to contain soaring inflation, should take the lead in boosting the economy. 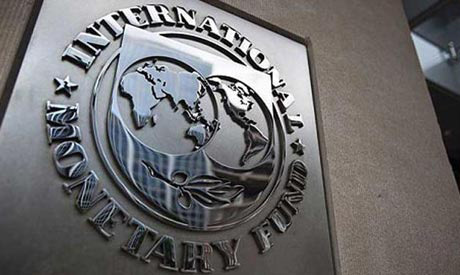 “The overall aim of these reforms in Egypt should be to encourage private sector investment, innovation, growth and job creation,” said Subir Lall, IMF Mission Chief for Egypt, Middle East and Central Asia Department, in a webcast held to discuss the review’s findings. “Only the private sector can create the 700,000 jobs Egypt’s young and growing population needs every year.” Lall said. Egypt has been hit by a broad range of challenges since its 2011 uprising, from an Islamic State insurgency and a growing number of attacks to an acute hard currency shortage and price rises that have decimated purchasing power. The IMF did not see a presidential election slated for March, which incumbent President Abdel Fattah al-Sisi is expected to win easily, as representing a serious risk to the reform programme. It said inflation should taper off to around 12 percent by June and reach single digits by 2019. Annual inflation stood at around 20 percent during the latest reading in December. The December figure was the lowest since the import-dependent country floated its pound currency in late 2016, roughly halving it in value and sending prices soaring. Egypt’s central bank has raised key interest rates by 700 basis points to contain inflation, which hit around 35 percent in July, but economists expect rates to come down in coming months as inflation cools. The IMF warned against a premature rate cut but said the central bank, whose next monetary policy meeting is on Feb. 15, should remain vigilant and consider a gradual easing of rates. “The exact timing and magnitude is up to the central bank and will be data driven, including how inflation does for example in January and in coming months,” Lall said. Lall said Cairo was committed to fuel price hikes by the end of 2018, with the timing of the next increase to be discussed after the next review. Egypt has committed to eliminating fuel subsidies by the end of the programme, he said. It expected the fuel subsidy bill to decline to 2.4 percent of GDP this fiscal year from 3.3 percent last year. Newly-discovered gas fields, including the Zohr field whose estimated 30 trillion cubic feet makes it the largest in the Mediterranean, is also expected to help Egypt tighten its finances by eliminating the need for gas imports. The North African country is expected to reduce arrears to international oil companies, which stood at around $2.4 billion last June, to about $1.2 billion by July and to eliminate them entirely by July 2019, the report said. The growing gas production and a recovery in tourism should help Egypt’s current account deficit fall to 4.5 percent of GDP this fiscal year from about 6 percent last year, the report said.